So many great questions from so many great people from so many different places around the world! …and the video recording is waiting for you right there. …and follow the info to attend the free introductory lecture. There’s simply no better way to experience this wisdom than through lessons where we can gather physically together. If you don’t live in any of those cities, then don’t despair! In the coming couple of months, we’ll also be starting a new live online course, where we’ll do our best to pass on the experience that you can get physically through the Internet. So stay tuned for updates about that. 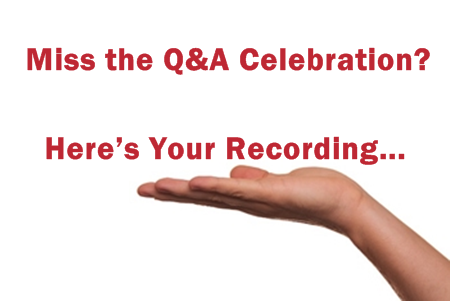 We hope you had a great time at the Q&A Celebration, that you got your questions answered, and that you’ll have a great 2016. We also are happy to open our doors to you, so that you’ll take advantage of all the Kabbalah content and structured learning experiences that we do our best to make available.